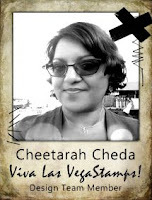 Hey everyone, I'm back this week on the VLVS! 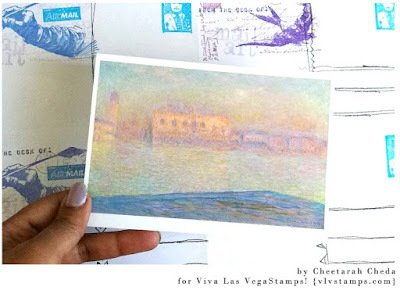 blog with a little tutorial for you to personalize your store bought postcards. 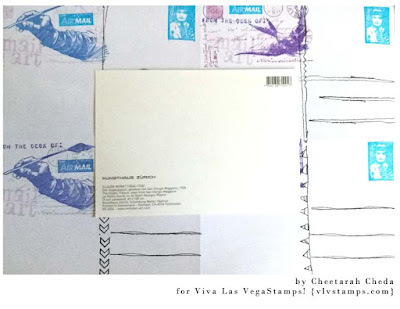 I love buying and sending postcards and have a stack of them to send out, but what really irks me a lot about postcards, sometimes there is no address placement lines or message box on the back. As you can see with the Monet Art postcard here, the back is totally blank and boring. So what I did to help brighten these up is to decorate sheets of blank sticker paper that are already cut into 4 A5 (postcard) size in a mail art theme. 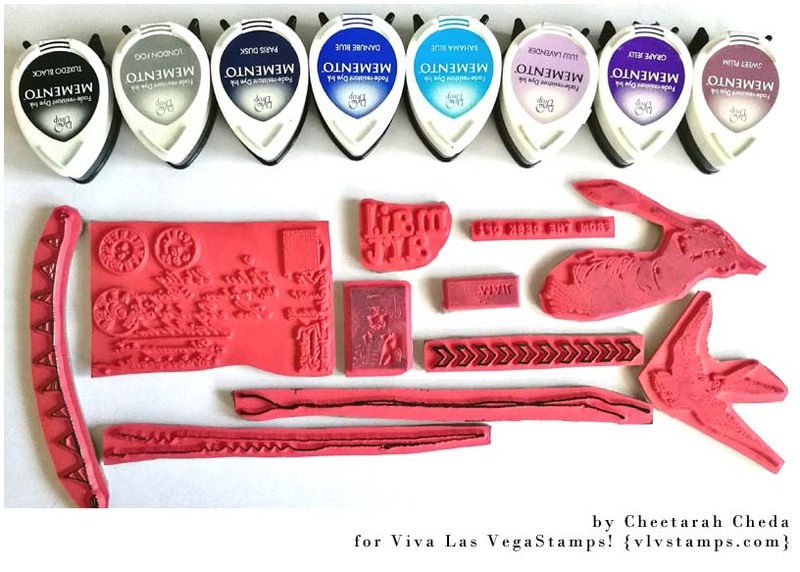 I used all these wonderful mail art related stamps from Viva LasVegaStamps! 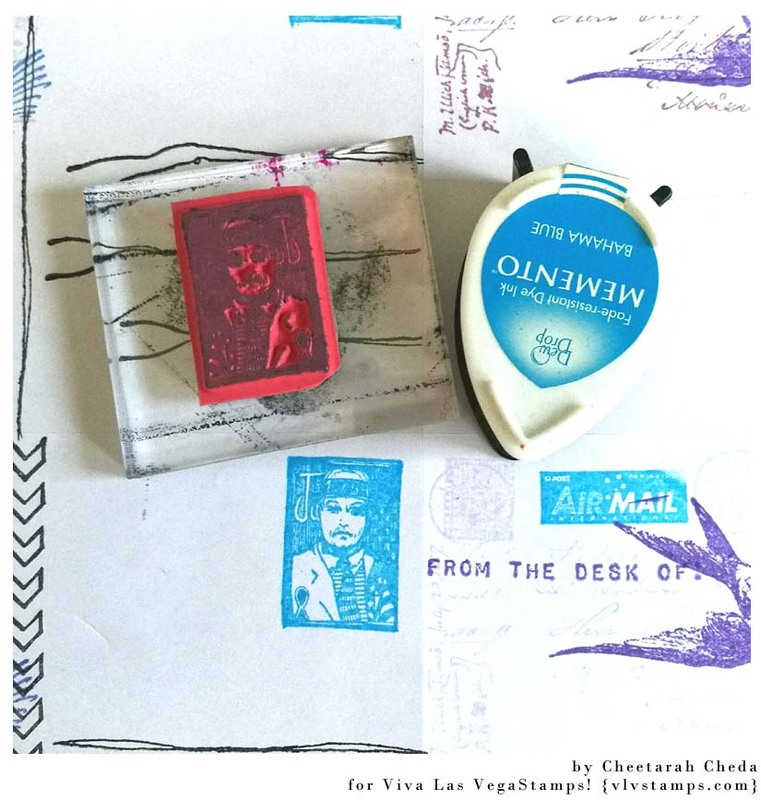 and Memento rubber stamp inks. 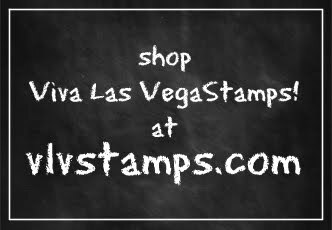 The stamps I used are listed below. I started off with deviding each section into two and use the stitches stamp for the address lines and divider border. 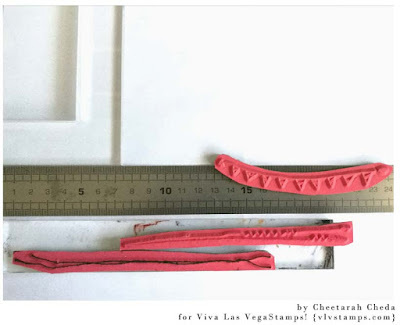 Using a stamp placement tool and ruler helps this process along. When you got the lines in place you can start to stamp up the top left side with those fun mail art stamps with some colorful inks. I esp. 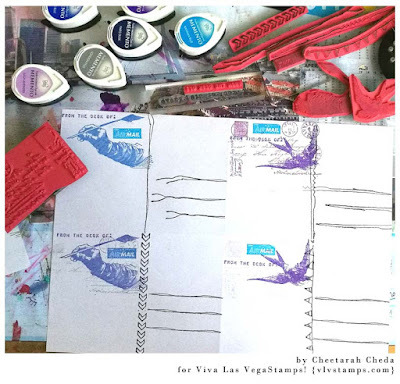 love to combine that ATC postcard collage stamps on the background to help that handwritten feel going. This cute little postoid stamp is a great way to add some "faux postage" to the right side of your card. When you're satisfied with the way you decorated the section, you can adhere the sticker sheet on to the back of your postcard. Doesn't it look a lot more fun this way? 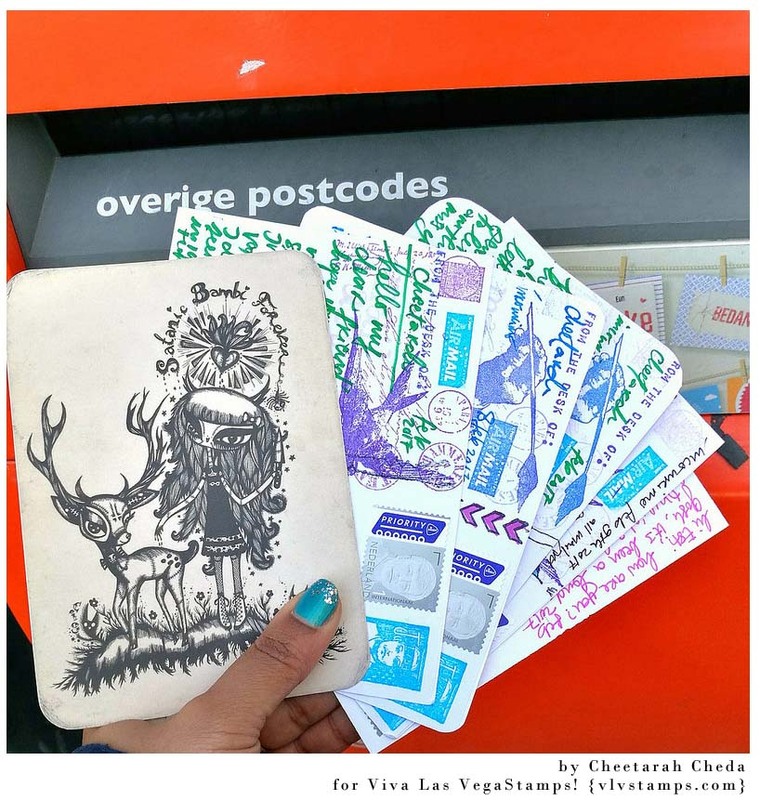 You can create a whole bunch of these in no time and adhere them when you are ready send off a PC or stick it on the back of one of your own created postcards! Hope you enjoyed this little tutorial and thanks for stopping by! 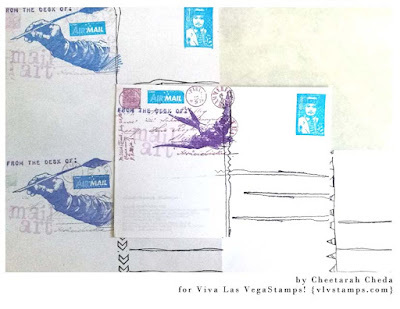 Labels: Cheetarah Cheda, mail art, postcard, quill pen, tutorial, VLVDT, VLVS! what a great idea,ideal for my postcrossing postcards!